This book is designed by a team of global elementary school educators to help teachers learn how to use iPad to support literacy. 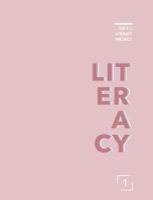 It focuses on five elements of literacy —listening, reading, writing, speaking and vocabulary—that help make learning more meaningful for learners. We hope you find these practical examples helpful in establishing a culture that will enhance literacy in your classroom and at home. Allowing your learners the freedom to use iPad to express and capture learning in fresh ways.